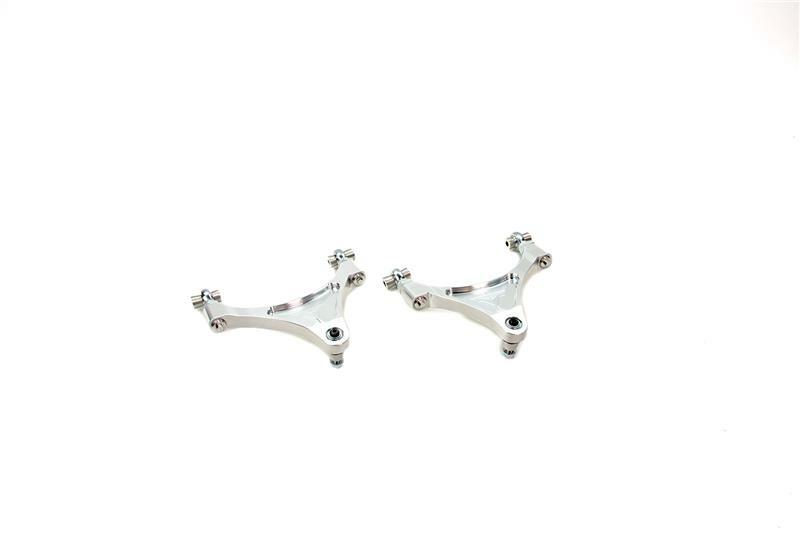 Voodoo13 Dual Adjustable Front Upper Control Arms are made from CNC milled aerospace grade 6061 aluminum, sporting not only dual adjustment functionality, but also an innovative impressive design. The slim upper spindle mount helps prevent upper control arm slap from excessively lowered cars, while utilizing an encased spherical bearing design that prevents deformation from impact or high driving forces over time. The easy to reach dual adjusters allow for both caster and camber correction, all while never being unbolted from the car, to suite any application.